A smaller world. More contacts, more interplay, more exchanges, more trade. Daily life in the 21st century, shaped as it is by the effects of globalization, has at its core the art and science of communication. Through communication, humanity explores, learns, discovers. Peoples and cultures and individuals come to understand each other better. The undergraduate program in communication combines both theory and practice, with courses offered in two main areas—media studies (effect of social media and mass media, video and multimedia production, audience research, communication policy) and organizational communication (communication in public and private organizations, interpersonal communication, health communication, crisis communication, public relations, advertising). The interdisciplinary approach of our program will provide you with a broad perspective on the interplay among mass media, human communication, cultural studies, technology, policy, political economy and public relations. 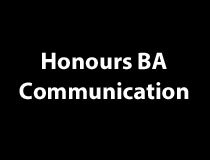 Explore the right field of communication studies in the Honours BA in Communication program. Over the course of your studies, you will ask how the media shape people`s lives and how communication functions within businesses and other organizations. Whether you wish to pursue a career in communication or further your studies, you will be well prepared. 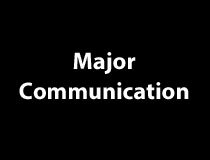 Explore the rich field of communication studies in the Major in Communication program. Over the course of your studies, you will ask how the media shape people`s lives and how communication functions within businesses and other organizations. Explore other areas that interest you by pairing this Major with a minor in another discipline. The 30-credit Minor in Communication allows you to explore organizational communication and media studies to gain the tools you will need to see how communication functions in your major field of study. 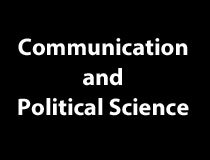 In this program, you will be exploring the role of communication in politics and politics in communication. In addition to course on media and organizational communication, you will take courses on Canadian politics, comparative politics, and international relations. You will be prepared for a wide range of careers in fields in the public and private sectors. Explore the interactions between communication and the structure and functioning of society in this program. 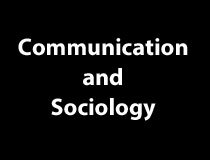 You will explore topics on social theory and social issues in addition to your courses on media and organizational communication. You will be prepared for a wide range of careers such as in government or community affairs. Journalism has been transformed by digital technologies in the 21st Century, driving change in all levels of the field and forcing practitioners to develop new skills, techniques and approaches. Today's journalists need to fill a diversity of roles, requiring not only a good understanding of emerging social trends, but also specialized expertise and knowledge. The Department of Communication at uOttawa offers an Honours Bachelor in Digital Journalism that is unique in the country. The program is offered jointly with Algonquin College (in English) and with La Cité (in French). Courses at the university provide theoretical, analytical and critical foundations in digital skills, while courses at the college focus on practical training. Students greatly benefit from uOttawa’s bilingual culture, right in the heart of the national capital. Students complete two internships during the program. This program is offered in English and in French. Upon completion of your studies at Algonquin College and at the University of Ottawa, you will obtain two certifications: the Diploma in Journalism from Algonquin College and the Honours Bachelor in Digital Journalism from the University of Ottawa. 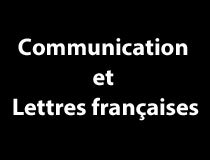 The Department of Communication offers an Honours Bachelor in Public Relations jointly with Algonquin College (in English) and with La Cité (in French). The Department of Communication will provide theoretical, analytical and critical foundations, while courses at the college will focus on practical training. 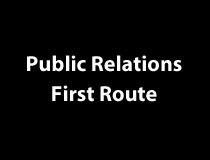 The program is ideal if you are looking for the perfect balance between public relations theory and practice. Register for the Honours bachelor's degree at the University and, after completing 60 credits (four semesters), transfer to Algonquin College to complete the diploma program in public relations. Because of space limitations at Algonquin, the University can only accept 25 students in this stream. In addition, upon completion of 60 credits at the University of Ottawa, you must have a cumulative grade point average of at least 6.0/10 (70%) to be admitted to Algonquin College. At the end of 4 years most students have both an Honours BA and a College Diploma! 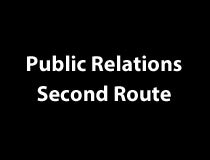 Start by completing two years in public relations at Algonquin College (a minimum average of 3.0 is required) and then transfer to the Honours Bachelor in Public Relations at the University of Ottawa to do four more semesters (60 credits). The University has no registration limits in this stream. At the end of 4 years most students have both an Honours BA and a College Diploma! *** Please note that the admissions to this program have been suspended for 2018-2019. Created in 2008 and 2014, the Minor and the Major in Film Studies allows students to acquire comprehensive knowledge of the technical and artistic principles of film and cinema. Students will also develop solid methodological and theoretical skills as they develop a critical eye for different cinematic works across the globe. Since it emerged in the 19th century, cinema has become a universal vehicle for communication and one of the most popular forms of mass entertainment; it is a popular art form that owes its existence to an industrial system of production, distribution and promotion. Cinema tells stories, anchored in different contexts (local, national and international), that are not necessarily—or not “simply”—a reflection of a particular social reality. Told through the eye of the film makers, the stories contribute to our perception of self and others. Studying film and cinema allows us to examine the intersection of technical and artistic developments, social change and personal views while keeping in mind how the mythology of different communities, nations and cultures is (re)produced, questioned and changed. Film Studies allow us to question ourselves and to reflect on our way of seeing the world and ourselves. What's more, as globalization transforms the world and as cultural products cross borders faster and faster, cinema is both a particularly effective tool for helping us to know ourselves and others and a catalyst for more productive personal and cross-cultural understanding and dialogue. The multidisciplinary program in World Cinemas allows you to explore the major trends that have shaped film from its birth to its current state. Comprised of courses from various departments at the Faculty of Arts (Communication, English, Français, Modern Languages and Literatures, Music and Visual Arts), this combination gives you the knowledge you need to better appreciate the world’s greatest cinematographic cultures and the legacy they have left for all humanity. What’s more, as globalization transforms the world and as cultural products cross borders with increasing speed, cinema is both a particularly effective tool for helping us to know ourselves and others and a catalyst for more productive cross-cultural understanding and dialogue. 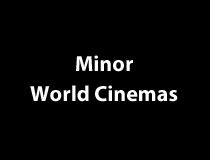 Students majoring in another discipline can obtain a Minor in World Cinemas by completing 30 credits. The program offers comprehensive training, for students who do not intend to pursue graduate studies in this field.